This Agreement was last modified on November 13, 2018. Please read these Terms and Conditions ("Agreement", "Terms and Conditions") carefully before using russharvey.bc.ca ("the Site") operated by Russ Harvey/Russ Harvey Consulting ("us", "we", or "our"). This Agreement sets forth the legally binding terms and conditions for your use of the Site at russharvey.bc.ca. You won't use anything from this site without permission whether it is mine or third-party content used with permission. I don't track you. I don't gather personal information except when you voluntarily send it to me. The Site and its original content, features and functionality are owned by Russ Harvey and are protected by international copyright, trademark, patent, trade secret and other intellectual property or proprietary rights laws. Some images are copyright Russ Harvey and/or his licensors. All rights reserved. Our Site contains links to third-party sites that are neither owned nor controlled by Russ Harvey. Russ Harvey grants you a non-exclusive, non-transferable, limited license to use the Site in accordance with this Agreement. In no event shall Russ Harvey, Russ Harvey Consulting, nor its directors, employees, partners, agents, suppliers, or affiliates, be liable for damages, direct or consequential, resulting from your use of the Site, and you agree to defend, indemnify and hold us harmless from any claims, losses, liability costs and expenses, including but not limited to attorney's fees, arising from your violation of any third-party's rights. Russ Harvey, Russ Harvey Consulting, its subsidiaries, affiliates, and its licensors do not warrant that a) the Site will function uninterrupted, secure or available at any particular time or location; b) any errors or defects will be corrected; c) the Site is free of viruses or other harmful components; or d) the results of using the Site will meet your requirements. This Agreement (and any further rules, polices, or guidelines incorporated by reference) shall be governed and construed in accordance with the laws of Canada effective in the Province of British Columbia, without giving effect to any principles of conflicts of law. If you're not sure what copyright is, we suggest you read Copyright — Who Owns the Content? It includes the best non-legal description of the concept of copyright we've heard. It should answer any questions about what copyright covers. 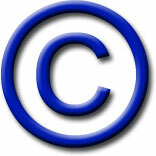 All trademarks, company names or logos used on this site are the property of their respective owners. Russ Harvey is committed to protecting the privacy of the personal information collected on this site in accordance with the Personal Information Protection and Electronic Document Act (PIPEDA) and the British Columbia Personal Information Protection Act (PIPA). Russ Harvey may collect information from users through readers' comments, online service sales and Twitter, LinkedIn and Facebook fan page membership. As the sole owner of the information collected on this website, Russ Harvey will not sell, share or rent this information to others. It will be used solely for Russ Harvey's business purposes.